"I don't care what they said," Pelosi told reporters when asked about the secret service's claim that they cold secure the House chamber for President Trump's upcoming State of the Union speech. House Minority Whip Steve Scalise similarly dismissed Pelosi's security concerns on Wednesday. "There are no security concerns that have been raised and that has nothing to do with that. Ironically, it seems like she's only concerned about security when it's a State of the Union that will expose what this fight is all about," Scalise told reporters, referencing the government shutdown, then in its 25th day. Senator John Kennedy (R., La. 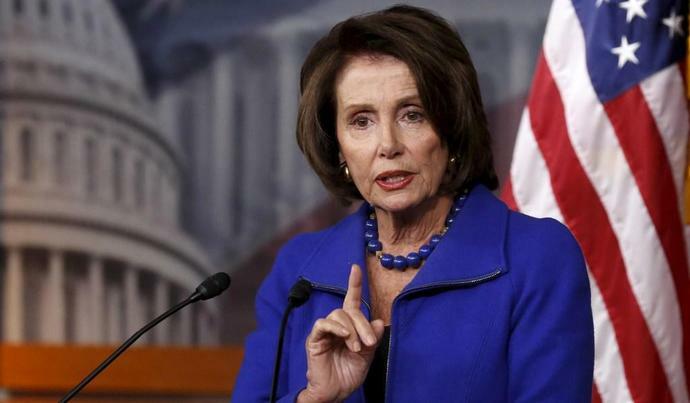 ), a former Democrat, described Pelosi's letter as "petty" and suggested the move would backfire politically. "I don't want to see it happen, but as a political matter I strongly encourage her to keep doing it," Kennedy said. "I think she must think the American people are stupid. It's petty and most people are going to see that it's petty. And I strongly encourage her. Politically, it's great for us,"